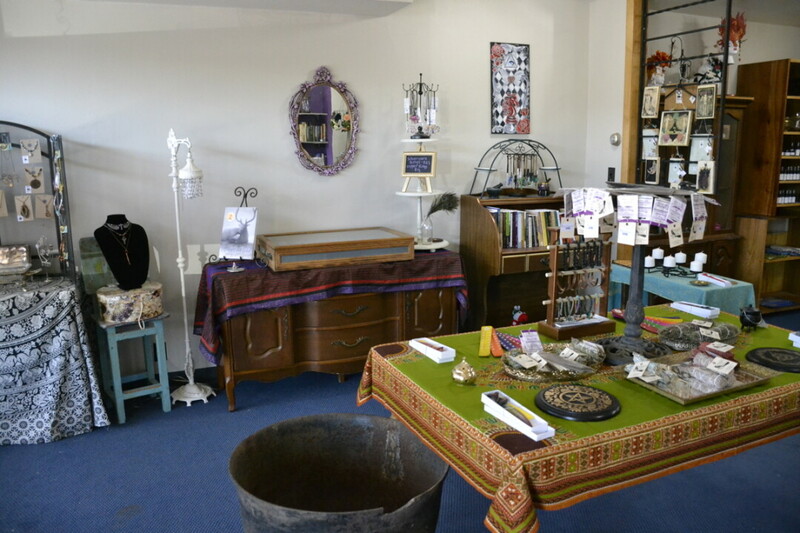 Tucked under a shingled awning on East Grand Avenue is a cozy storefront where the floors are being redone, the walls are being painted purple, and wares from cauldrons to tarot cards are being arranged on display shelves. On July 3, Tabatha Voss will open The Broom & Crow, a welcoming book, gift, and pagan supply store. Paganism is a religion with many flavors, most of which share the central tenant that humans are a part of nature and the perception of Earth as a mother. Many pagans exercise spirituality through rituals that connect them with nature. Voss, a pagan herself, found that it was difficult to find the components of her rituals locally, so she set out to provide a resource for other people with an interest in the religion. The store will carry spices, medicinal herbs, mortars and pestles, and a number of other high-quality tools and ingredients for pagan rituals. One can also purchase a cauldron in pink, green, or yellow – although black will still be available for traditionalists. Voss hopes that The Broom and Crow will be of use to a wide variety of people. Some of the spices she will offer are staples in international cuisine, which she hopes will meet the needs of UW-Eau Claire’s international students. The store will also offer gifts for people of any religion: She plans to offer decorative art, handmade jewelry, and even one-of-a-kind masquerade masks through a consignment program. She is working with an artist who makes fandom-themed incense inspired by franchises such as Doctor Who and Sherlock. The Broom and Crow will offer services including palm, tarot card, and astrological readings, and classes for those who are interested in exploring these areas themselves. 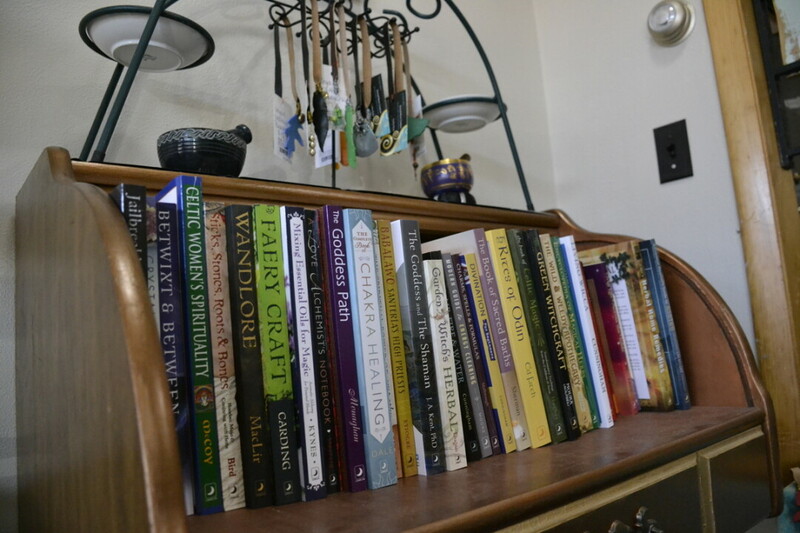 Voss warmly encourages everyone from long-time pagans to people who just want to learn a little more about this form of spirituality to visit, explore the library, take a class, or ask questions. “I want to do all these things and I’m so excited, but I realize I can’t do it all at once,” Voss said. 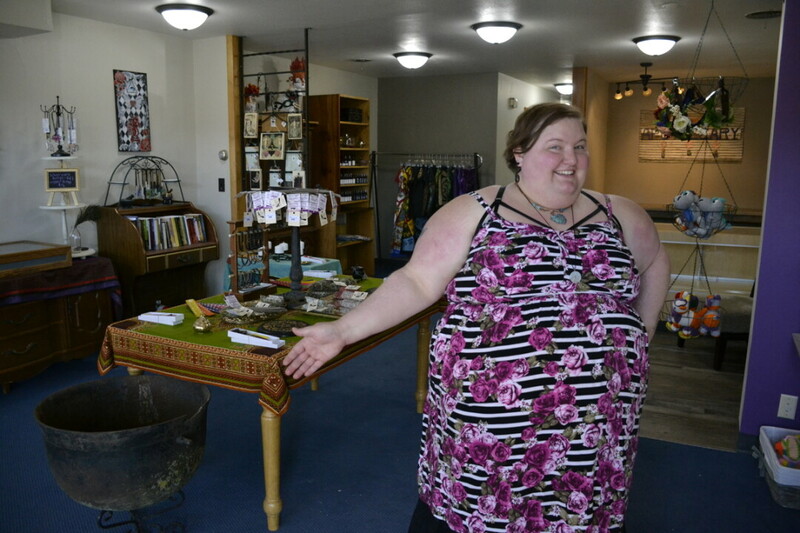 She emphatically described her goals to offer chakra classes, locally sourced honey, a bulletin board, different products, and more, and lamented about the limited space she has to work with. “My small business needs to start smaller,” she admitted with a laugh. The Broom and Crow, 106 E. Grand Ave., will open July 3. For more information, visit facebook.com/thebroomandcrow.